For Cayman Islands, moving at any time of the year may be a blissful experience. Then why not during the holiday season. Don’t let your vacation move flip you into a nightmare. Here are a number of recommendations on a way to create the most of your vacation move. Don’t leave the things up to the last minute. If you think that you are too busy to load the things in a box, then hire a reputable mover. Compare the rates and quotes you get from the different companies and you’ll find a median price range and usually that’s your best offer to opt for. With meticulous planning, proper attitude, and a quality moving company, you’re in for a great new experience. Some of the loveliest things about vacations are the traditions that every family holds dear and maintains it throughout life. A house filled with boxes doesn’t essentially feel festive. You'll be moving throughout, however you don’t need to ignore your traditions; you simply need to get a little artistic. When you are actually packing your belongings, realize things that mean the foremost to your family and set them aside. Jump over things that you don’t require during or immediately after the move. If you are moving right during or after the holidays, put extra thought into packing. Many times it happens that we are unable to find the ideal house for ourselves. 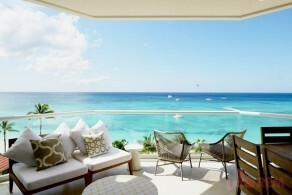 There are quite a few Cayman Islands rental properties option available. Also there are many associations in the Cayman Islands from where you will get many real estate property listing which can help you greatly while you are moving to the Cayman Islands. When you are moving to another country, this may affect your kids and elderly in some way or the other. They may actually feel alone in moving to some new life and new location. You need to pay attention to them so that they feel a sense of belonging. Infuse positivity in them so that they indulge in home relocation activities. Make them focus on the new and different options that they may come across. Don’t forget to update your address with the bank and other such institutions. Be sure you do so early. This is very important step so that in case of any emergency or in a critical situation, you don’t have to hustle and bustle there. As you're coming up with a residential move during the vacation season, take further measures to scale back your stress and create the move a joyous journey toward a new and blissful beginning. Remember that this holiday is all about spending time with your family. Engage everybody to help with the holiday moving and relocation. So pull up your socks and get ready for exploring the new lifestyle in the Cayman Islands!